These Autumnal tones are perfect for when the weather starts to get frosty. 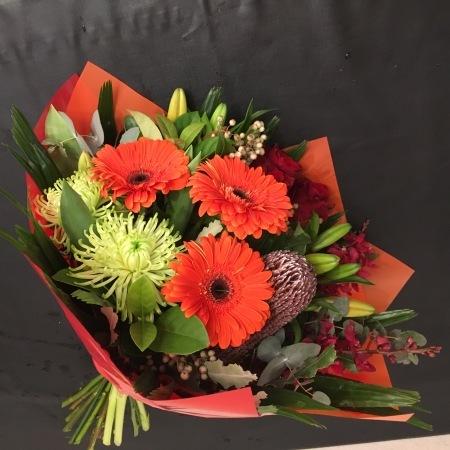 Autumn Delight is a shop favourite and is sure to brighten anyones day. A gorgeous mix of gerberas, lillies, orchids and other seasonal blooms.